The UGGS logo, courtesy of UGGS. 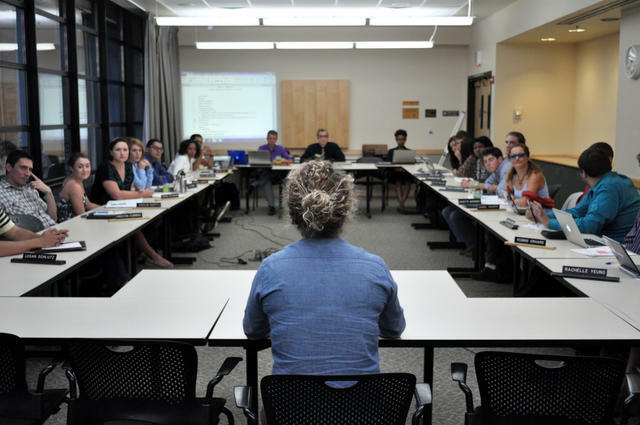 With the University of Colorado Boulder Student Government (CUSG) spring election fast approaching, recent debates have illuminated longtime concerns between the undergraduate and graduate student factions. On Thursday, March 21, CUSG members highlighted a need to address issues raised by the United Government of Graduate Students (UGGS). 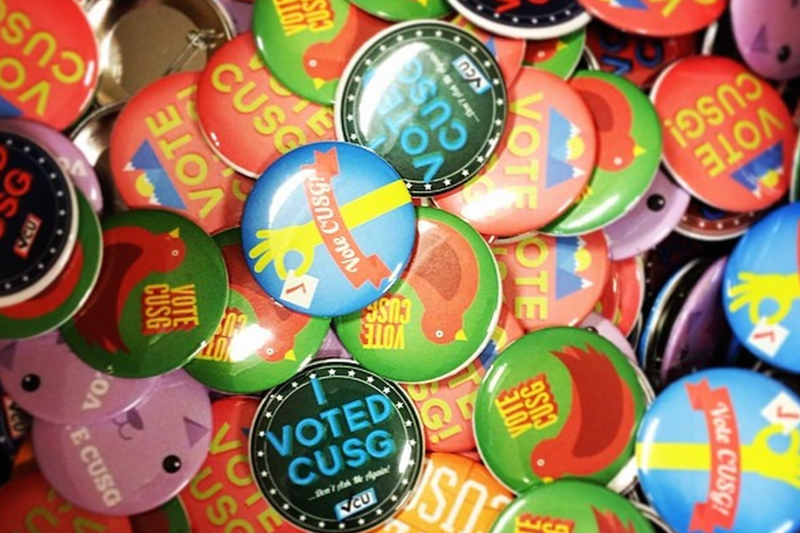 “There is not enough communication between UGGS and CUSG,” said Jake Carias, current executive board member of UGGS and tri-executive candidate. The stakes were heightened last semester when UGGS proposed a resolution intended to better improve what UGGS feels is a lack of communication and graduate student representation. However, the recent proposals have left some CUSG members believing UGGS may look to secede from CUSG. Established in 1990, UGGS served to fill the lack of graduate student representation in CU’s student government. The Graduate Student Advisory Council, the predecessor of UGGS, officially dissolved in 2015 after it was deemed a non-necessity. Each graduate department within the university gets one vote regardless of the number of representatives they elect. CUSG, established in 1902, represents the university’s general student population and follows a constitution created in 1974. Before 1974, the University of Colorado Student Union existed and was updated to create the government body that exists today. It manages over $24 million dollars of student fees to fund utilities such as the Recreation Center and University Memorial Center, as well as student clubs and organizations. The self-proclaimed “most autonomous student government in the nation” has the primary objective of having a “group of students serve other students.” The UGGS budget, in comparison, is drastically smaller, coming in at $83,000 for the 2018-2019 school year. While many universities across the country have adopted independent graduate, undergraduate and law school governance, CU follows a different system with a graduate and undergraduate government working alongside each other. The resolution, which asked for more resources and graduate fee oversight, was authored by UGGS representatives Jesse Niebaum and Juan Garcia Oyervides. “If we don’t voice our opinions nobody’s going to do it,” Oyervides told the CUI regarding the resolution. During a Legislative Council meeting on Dec. 6, 2018, Niebaum and Oyervides presented the resolution in hopes of gaining support from CUSG. The document was presented during a public open hearing — while it was formally approved by UGGS beforehand, CUSG was not made aware of its creation until the open hearing. The document provided the historical context for issues between UGGS and CUSG and advocated for a change in the two factions’ relationships, arguing that UGGS needs more power to ensure that graduate students are properly represented. But for CUSG Representative-At-Large Michael Robinson, the document reads as a move for UGGS to secede from CUSG. “To sum it up, it’s basically secession to be like their own governing lobby,” Robinson said. Formal independence of UGGS from CUSG could see the two separate governments maintain separate budgets. But according to Oyervides, UGGS has not officially stated a plan for secession. “Should we continue to use the system we inherited?” Oyervides asked. To Oyervides, graduate and undergraduate students face different experiences when it comes to university culture at CU. He cited the graduate student curriculum, which requires students to stay within one department for an average of five years, while undergraduates may take classes in multiple fields of study and use a variety of academic resources. Very few graduate students have interdisciplinary majors that require them to study outside their normal facilities. “We are lacking true diversity in student representation,” Oyervides said. By ordinance of the UGGS Constitution created in 1990, graduates should have a representative on every government assembly. However, two boards currently do not have a graduate student representative: the Volunteer Resource Center (VRC) and the Cultural Events Board (CEB). The VRC works to create active citizens and inspire partnerships between CU students and the Boulder community. The CEB brings a variety of cultural perspectives and speakers to the CU campus. Last year, UGGS was in discussion with legislative members to add a representative on the Center For Student Involvement Board. But for Representative-At-Large Michael Robinson, UGGS has not been communicative when CUSG has tried to help. While graduate students pay nearly the same fees as undergraduates, UGGS claims that certain resources they pay for are unnecessary. One such example is recreation fees. Oyervides specifically referenced the Buff Pool, which was part of a $63 million initiative finished in 2014. He calls the pool “nonessential,” “expensive” and “underused.” The pool was paid for by a student referendum in 2013. Graduate and undergraduate students have paid $106 each since. Oyervides sees the fees which graduate students pay for underused facilities as “money wasted.” He believes it creates a system of inequality and a lack of equity within the university. “It does not make sense to pay for these services from a grad student perspective,” Oyervides said. A removal of graduate student payments from the equation would reduce budgets across campus significantly, and Robinson says “cost centers could be hugely affected.” Just over 5,000 of the almost 30,000 students at CU Boulder are graduate students, a little over 16 percent. Graduate students who work as teaching assistants, otherwise known as students on appointment, can receive different tuition reimbursements based on the credit hour classes they teach. With this comes mandatory fees they have to pay back, which can be as much as $882, along with medical care costs. According to Oyervides, receiving little compensation for their work and paying fees for things they do not see useful are reasons which drive the push for fewer fees. Oyervides said about 50 percent of graduate students are on appointment. “We believe as grad students the system is unfair,” Oyervides said. UGGS put out a survey to gauge students’ thoughts on paying fees and their opinions on decreasing them. According to CUSG Representative-At-Large Madison Gile, the majority of responses supported the lowering of graduate student fees. In February, graduate students held a walkout and protest to lower the graduate student pay-to-work fees that teaching assistants are forced to pay. UGGS did not publicly comment on this. It did, however, push for ethical conversations about the welfare of graduate students and addressed ideas mentioned during the walkout campaign. Some members of CUSG say they see the value of graduate students on campus but do not believe there should be an option to opt out of fees. They are pushing for initiatives such as giving better appointments and helping the chancellor see the needs of graduate students. “It is an honor for the university to have these grad students teach, not the other way around,” Robinson said.